Coworking is no stranger to social impact projects. Spaces are full of nonprofits, social entrepreneurs, social good startups, community organizations and companies that focus on the triple bottom line of people, planet, profit. When hurricanes, fires mudslides, blackouts and other emergencies hit, coworking spaces open their doors to those displaced. Many coworking space operators offer space to community organizations at a reduced rate or for free. And spaces participate in countless small-scale local impact projects. 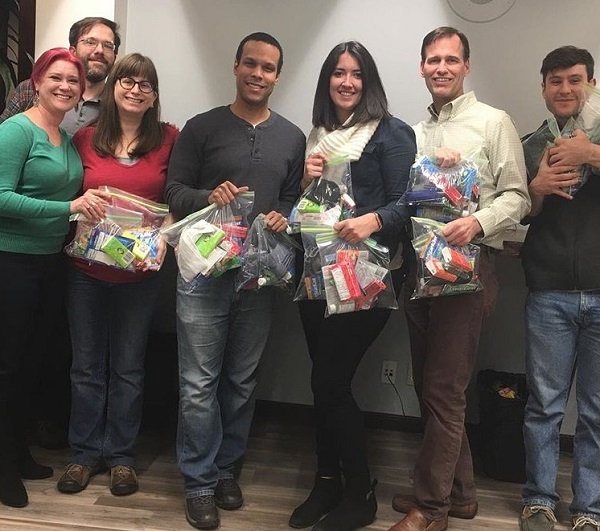 The NextSpace coworking space in San Jose team puts together Care Bags for the homeless. The bags may contain food items, as well as personal hygiene products, socks, a notebook, bandaids, chapstick, sunscreen, t-shirts and much more. The Pacific Workplaces East Bay community, which includes workspaces in Berkeley, Walnut Creek, Pleasant Hill and Oakland, hosts food drives every year. The spaces collect food items and monetary donations, and volunteers work in the food bank to help with distribution. 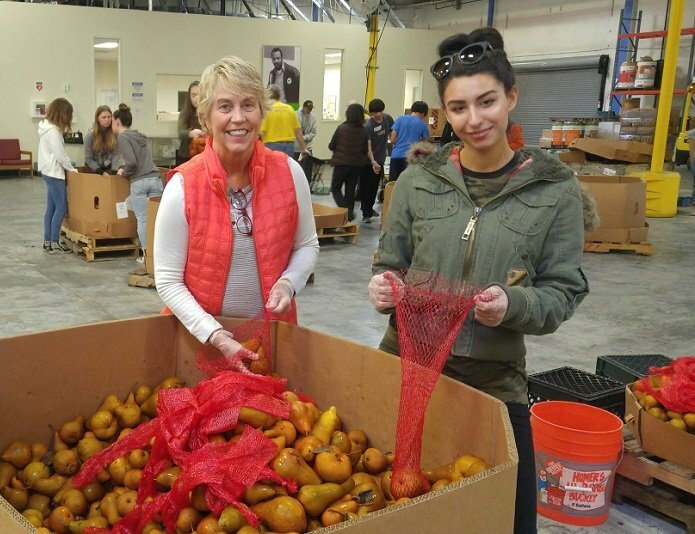 Last year, the East Bay Pacific Workplaces provided a combined 3,300 meals. 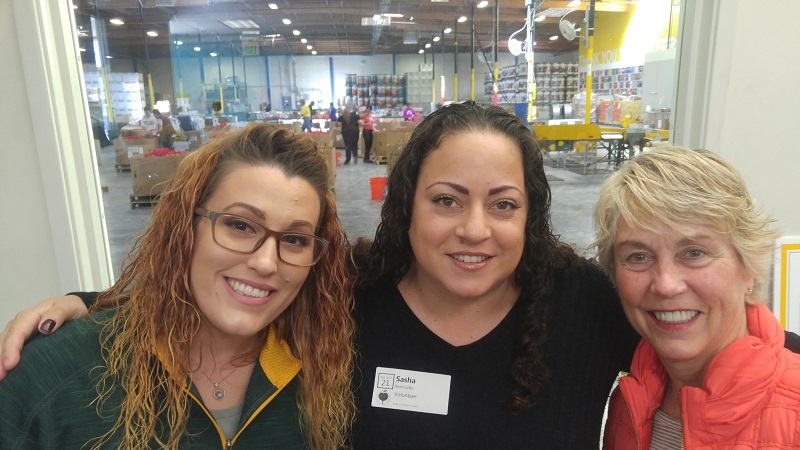 Last year, Bermudez spearheaded a team from Pacific Workplaces volunteering time at the local food bank. That day, she discovered that some of the volunteers had used the food bank at some point in their life and understood what it meant to go through tough times. Bermudez has also learned that monetary donations made to the food bank can go further than donations of food. The food bank has agreements with wholesalers so they can stretch a $1 donation into $6 in food. Giving coworking space members an easy way to donate to the food bank let’s them give back locally and maximize their impact. The NextSpace Santa Cruz happy hour has a well-earned reputation for being a hopping social event, a great networking opportunity, and a way to learn about new businesses, projects and organizations. The NextSpace team regularly invites local community organizations and nonprofits to sponsor happy hours and educate the NextSpace community about what they’re working on and how the community can help. Recently, the Downtown Streets Team shared their mission, vision and ideas for getting involved. These happy hours have led to countless donations, collaborations and partnerships between NextSpace members and the organizations. 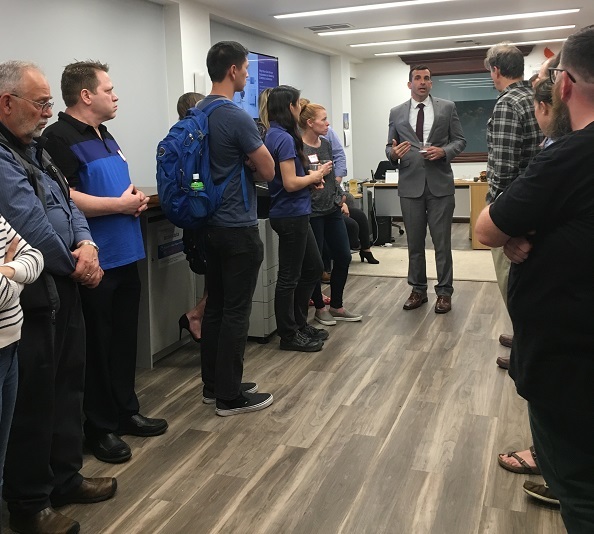 San Jose mayor Sam Liccardo recently stopped by the San Jose NextSpace location for a “house party.” The idea was to answer questions, meet constituents and hear concerns. Kodama explained that Liccardo has long been a friend to her location, going back to his days as a city councilmember. The house party was presented in a nonpartisan way to encourage respectful conversation and learn more about the mayor’s vision for the city and community. For Kodama, it was an opportunity for NextSpace to strengthen the coworking community and outreach into the larger San Jose community. Pacific Workplaces offers a free, virtual office membership to a number of nonprofits, including civic programs, education programs and youth programs. Space is made available for the organizations to hold meetings and use the space, as-needed, to further their impact work. Pacific Workplaces offers shared workspaces in 19 locations around California and Nevada. If you are looking to impact your local community while being part of a vibrant group of coworking professionals, find a Pacific Workplace location near you.